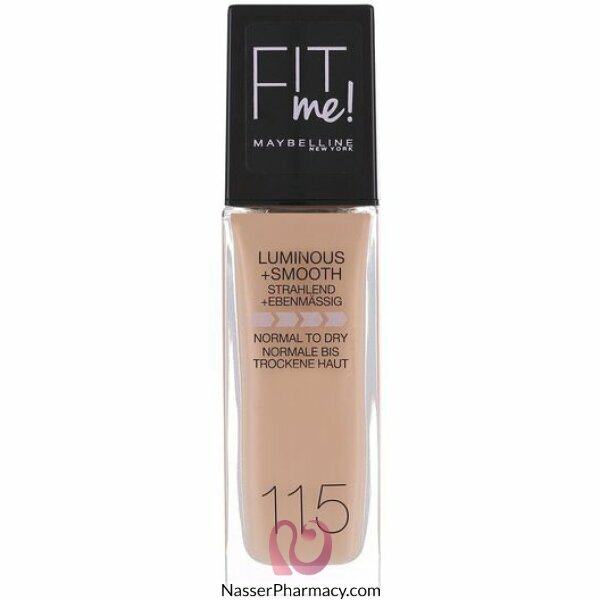 Maybelline Fit Me Foundation face makeup. Maybelline's smoothing concentrate hydrates rough patches leaving skin with a naturally luminous finish. Ideal for normal to dry skin, this foundation hydrates and smoothes skin texture and leaves a naturally luminous finish. Protects with SPF 18. High coverage. No mask effect. Ultra resistant. Natural radiance. Sensitive skin.Indications: Covera..
High coverage. No mask effect. Ultra resistant. Natural radiance. Sensitive skin.Indications: Cover..
Meet your new makeup staple to guarantee #Nofilter status. This medium coverage foundation will leav..
Gone are the days of needing different shades of foundation for the summer and winter! This lighteni..